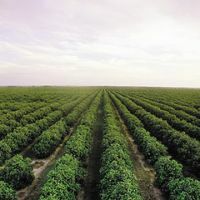 Growing Florida Citrus for the Best Orange Juice in the World! Over 1,000,000 (equivalent to 41,000 metric tons) boxes of fruit are grown every year on our 5,000 acres of privately owned and operated citrus groves. Gardinier Florida Citrus, Inc. is a 100% subsidiary of French Holding company, Gardinier et Fils, located in Paris, France. Gardinier Florida Citrus, Inc. is incorporated in Florida, and headquartered in Sarasota, Florida. 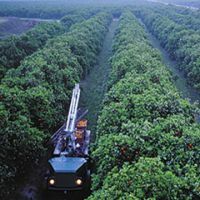 For 30 years, Gardinier Florida Citrus, Inc. has owned and operated citrus properties across the state of Florida. Our 5,000 acres produces 1,000,000 boxes of fruit or 6 million gallons of orange juice. 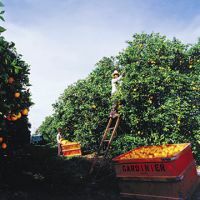 Gardinier et Fils has a long term approach in acquiring and managing Florida citrus properties. We take care of our citrus trees and groves by resetting trees, planting new blocks, and more. Our groves are located in Labelle, Immokalee, Lake Wales, and Frostproof.